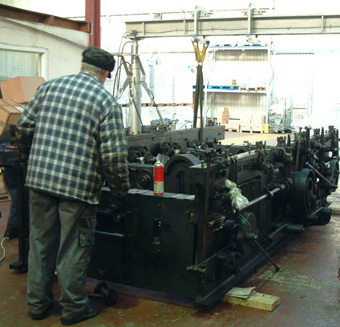 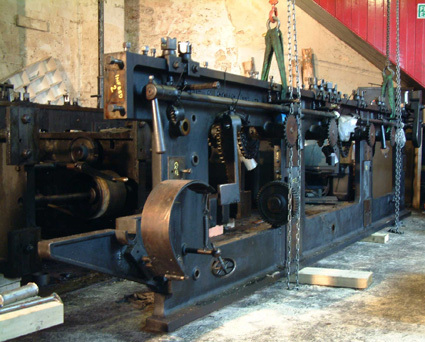 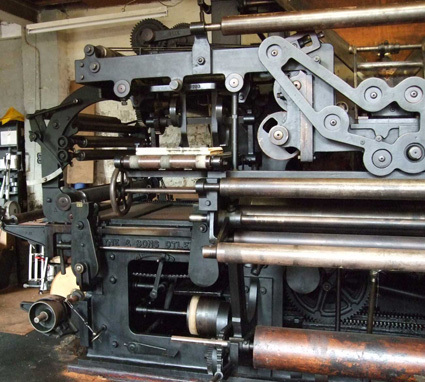 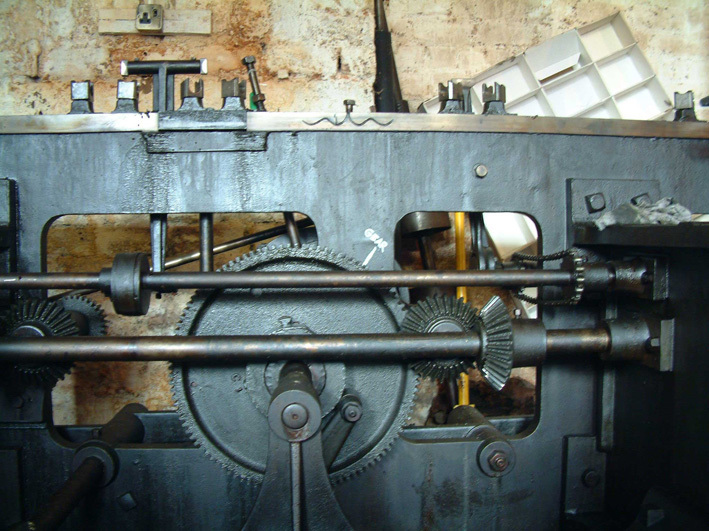 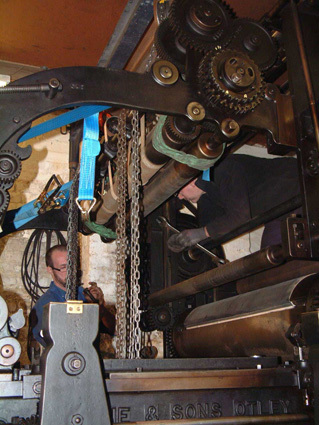 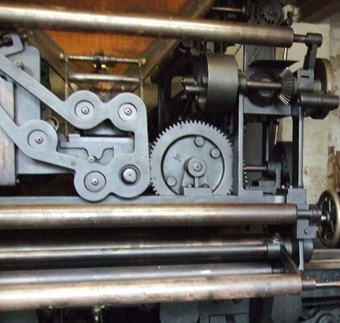 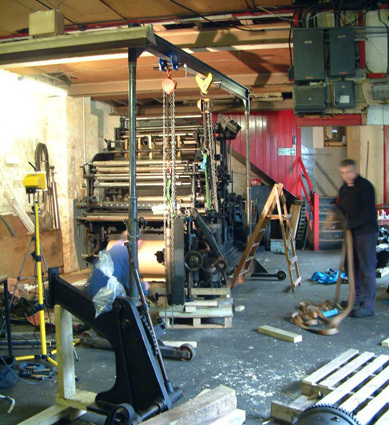 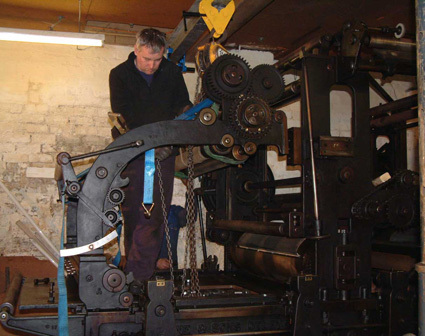 Robert Mitchell and his col­leagues from RMH Print Engi­neer­ing Ltd. removed the 1907 ‘Cos­sar Patent Flat Bed Web News­pa­per Print­ing Machine’ from the Com­rie Street premis­es of David Philips Print­ers in Crieff in the same way as it had arrived — in pieces. 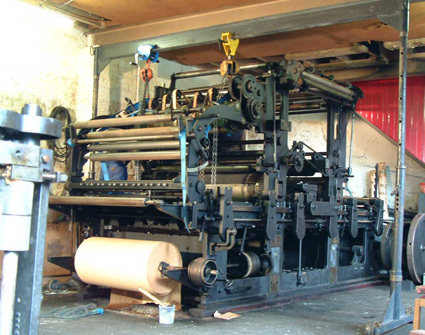 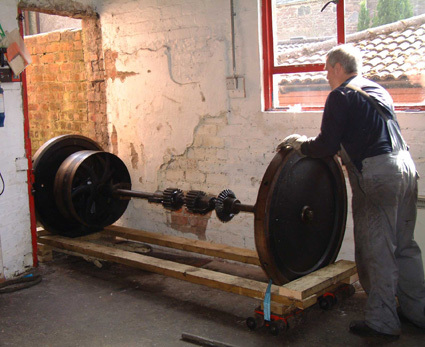 Hav­ing super­vised its trans­port to stor­age in Gov­an, a short dis­tance from the Gov­an Road premis­es of John Cos­sar & Son, they have now suc­cess­ful­ly rebuilt the press, which now only requires the rein­state­ment of a pow­er sup­ply to be in full work­ing order. 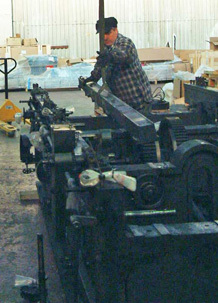 The whole process has been record­ed, and these are just a selec­tion of the pho­tographs which give some idea of the com­plex­i­ty of the task. 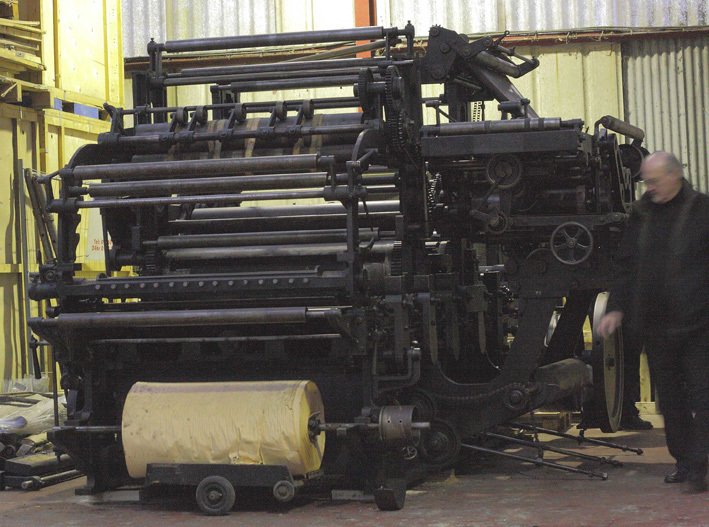 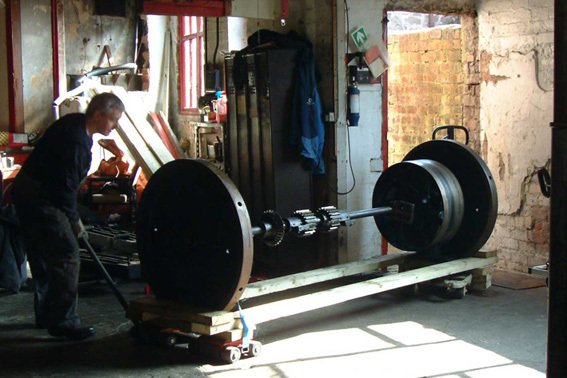 A Cos­sar Club has been set up to sup­port the future of this machine.